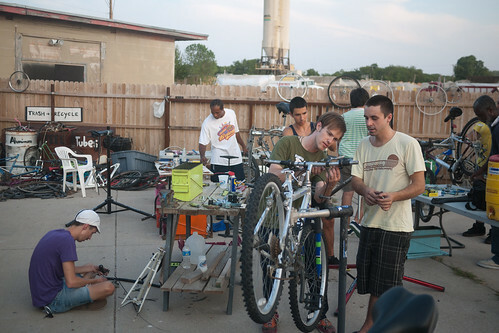 Querencia Community Bike Shop (QCBS) is a an all-volunteer not-for-profit community bike shop in Denton, TX. 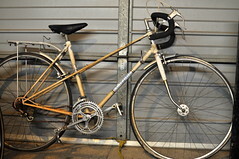 QCBS is dedicated to providing residents of Denton County a healthy, affordable, environmentally friendly and fun alternative to the debilitating effects of automotive dependency. 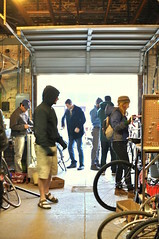 Querencia offers open access to the necessary work space, tools, parts, and instructional resources for one to build, repair, and maintain one’s own bicycle. QCBS encourages self-reliant transportation while strengthening the bonds of community through collective ownership and cooperation. 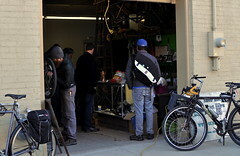 Shop is located at 420 S. Bell Ave, Denton, TX, 76201, adjacent to SCRAP. Check this site or the Facebook page for schedule updates and changes.